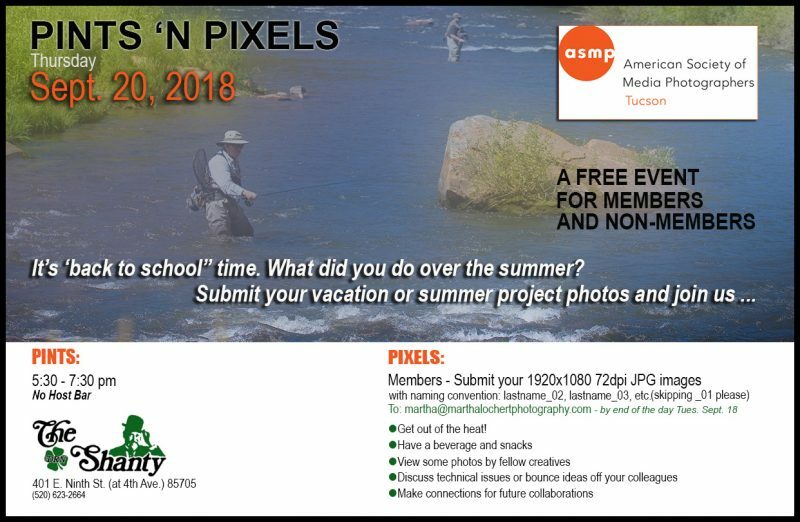 ASMP Arizona/Tucson provides valuable business resources and education to Tucson's professional photography community while fostering relationships and creativity. 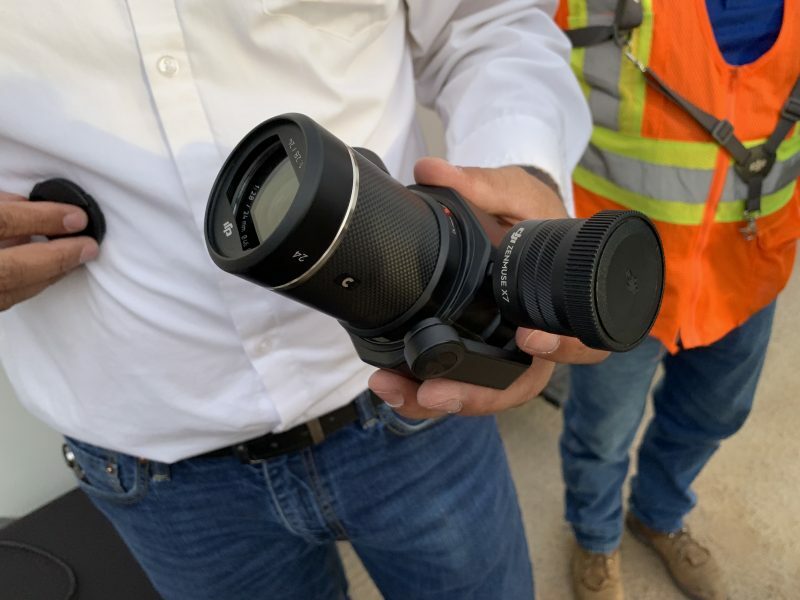 Our goal is an informed and savvy professional photography community. End your day by joining us for our next social event at The Shanty! 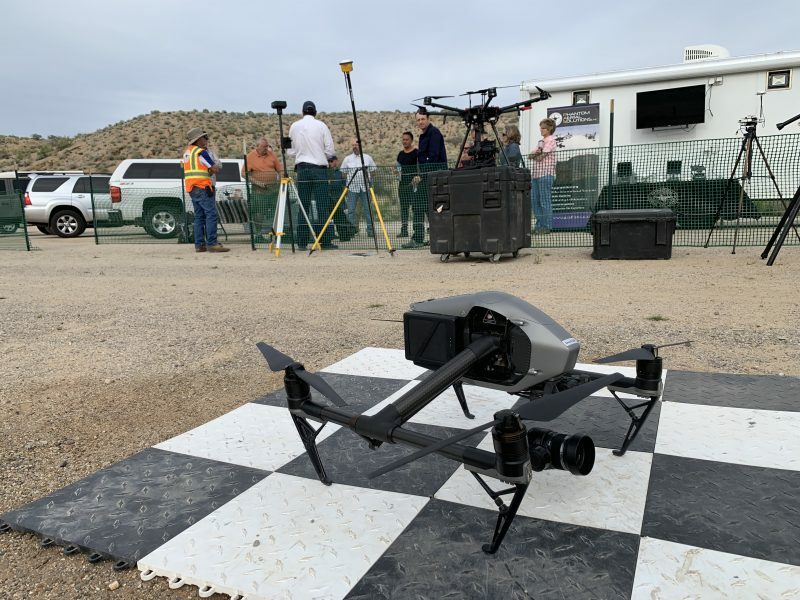 Our drone photography / videography event was very informative and well-presented by Troy, Terry & Lorran with Phantom Aerial Solutions. 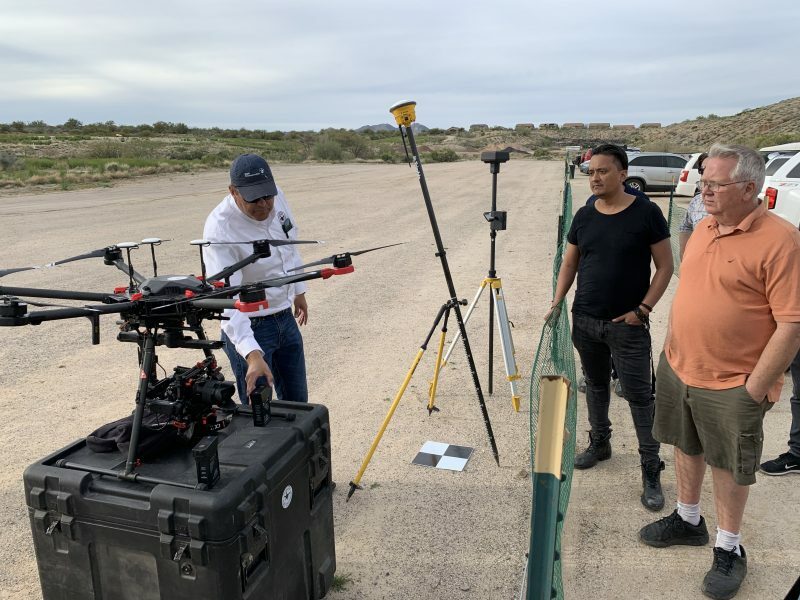 We all learned a lot and enjoyed the presentation. 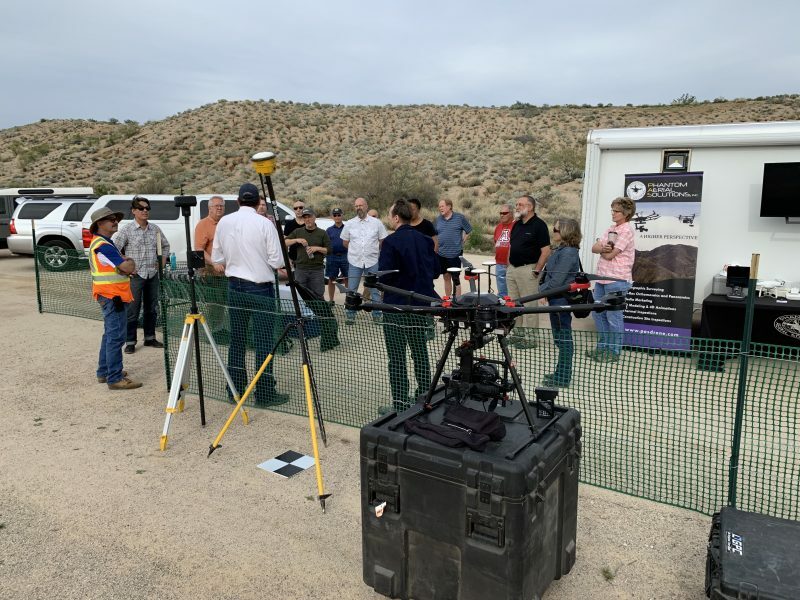 Thank you to all who joined us at Naranja Park. Our annual dinner party is always fun. Please join us! 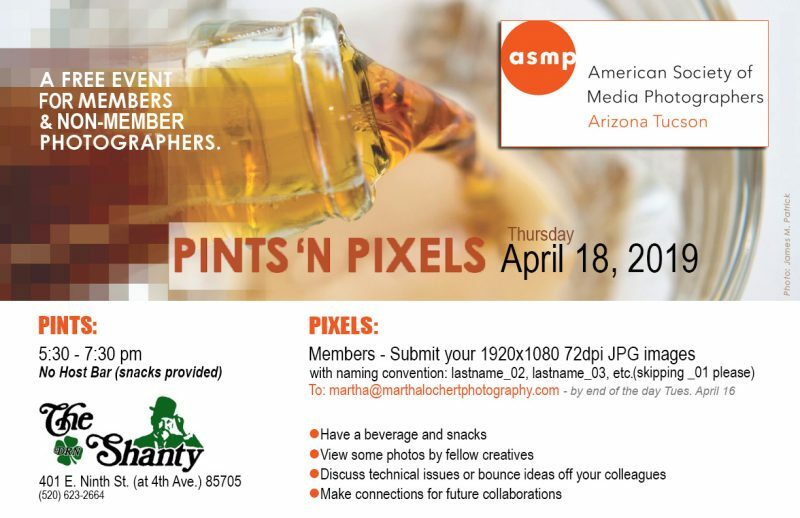 Guests of ASMP members are welcome too! Our next gathering will be on Sept. 20, 2018 at The Shanty on 9th St. and 4th Ave – 5:30 to 7:30 pm. 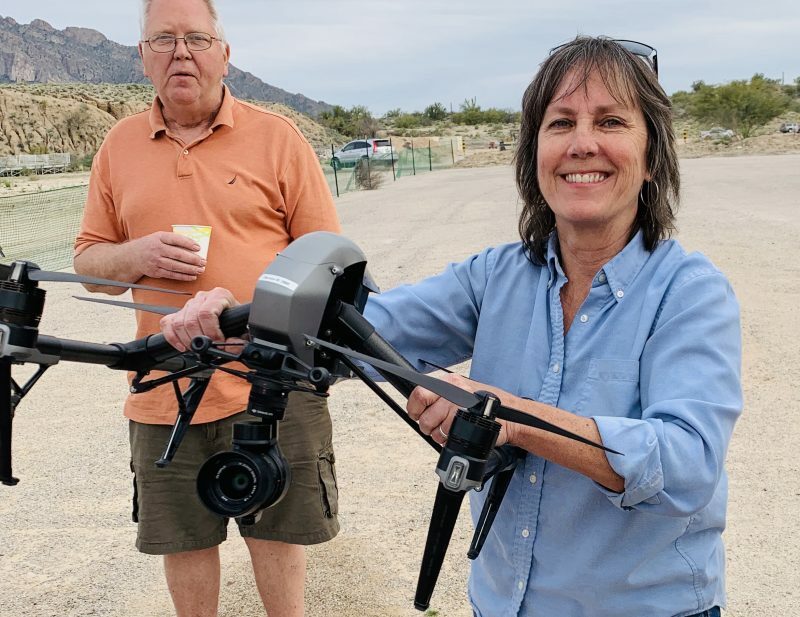 Join us for a barbecue to usher in the summer season on June 2 from 6-9 pm at the home of ASMP board member Martha Lochert. 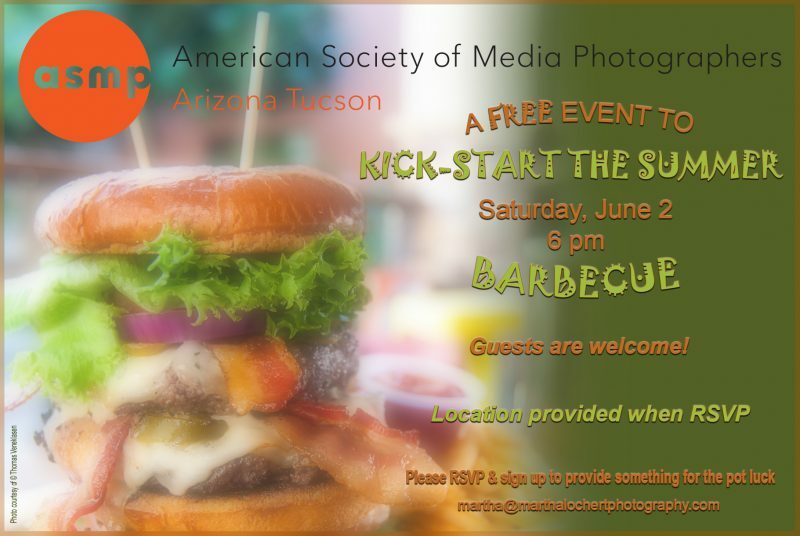 RSVP, sign up for a dish to contribute to the BBQ, and get the location by emailing Martha at the address in the flier. 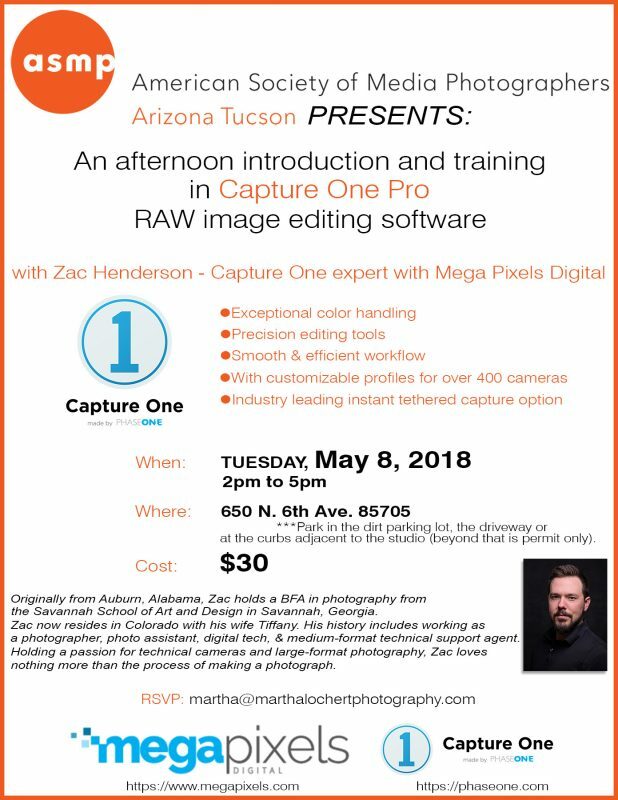 ASMP Tucson is pleased to sponsor an afternoon introduction and training on Phase One’s Capture One software with Zac Henderson from Mega Pixels Digital. 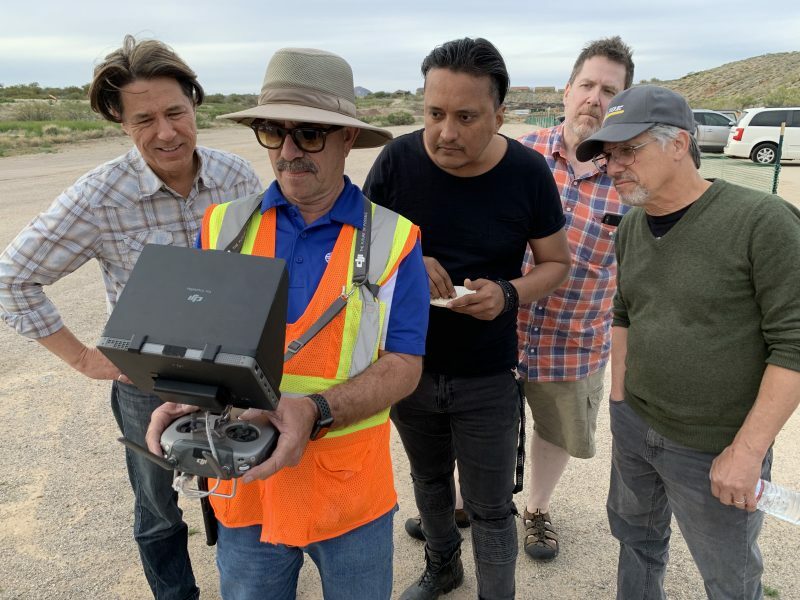 RSVP and join us at 2 pm on Tuesday, May 8. 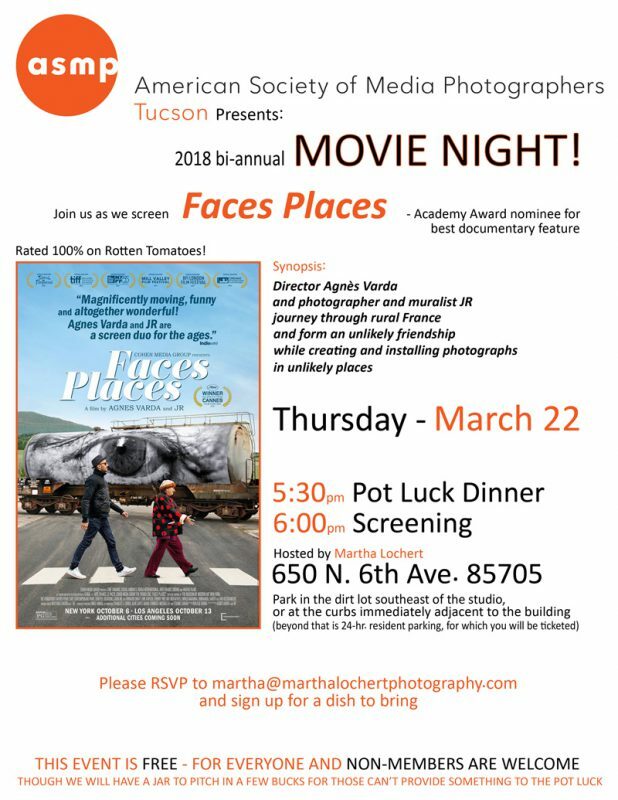 Please RSVP and join us for a pot luck dinner, while we screen the delightful Faces Places on Thursday, March 22, 2018. 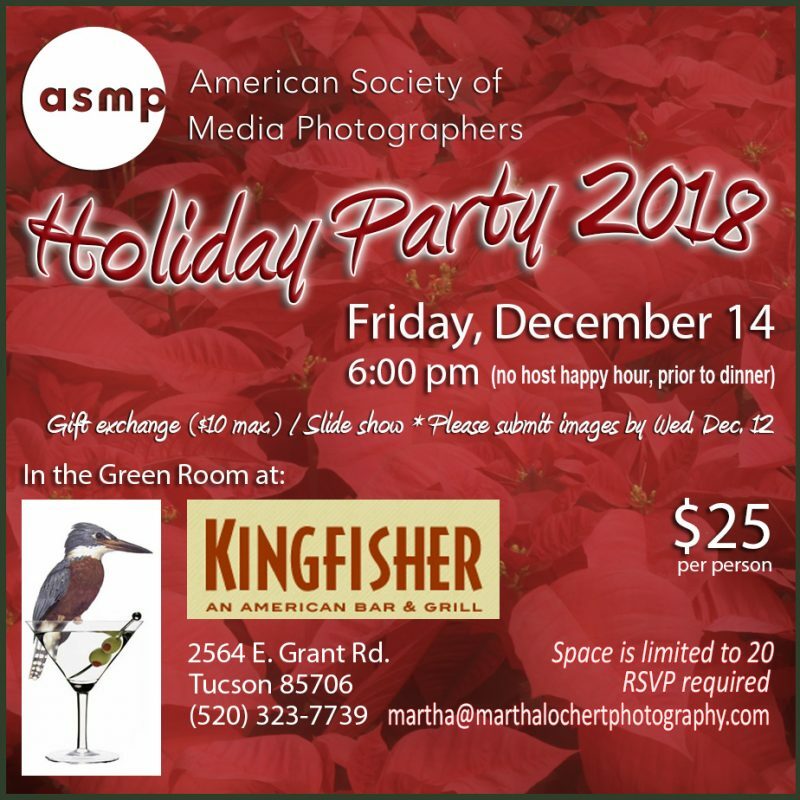 Join us on Thursday, February 22 at 5:30 pm for a light dinner hosted by ASMP Tucson and lecture by licensed therapist Kelly Spartonos. 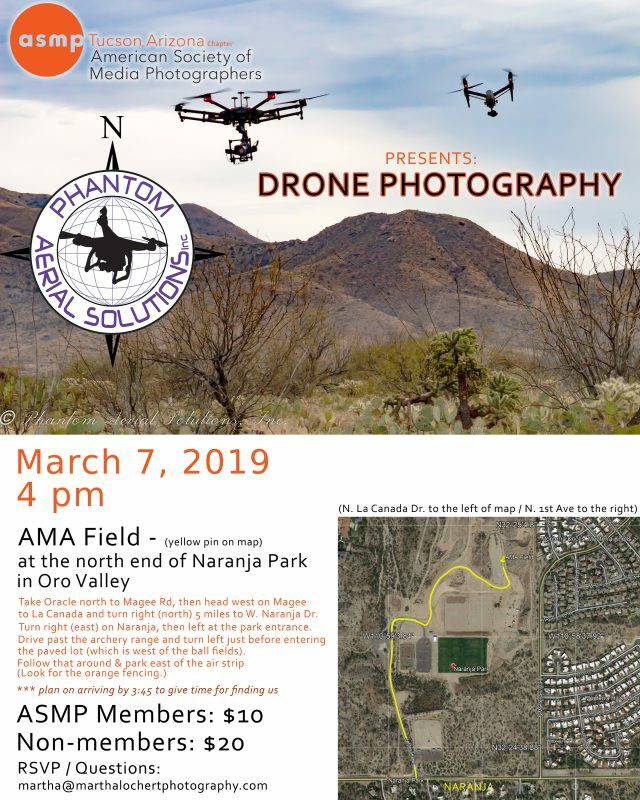 Please RSVP!